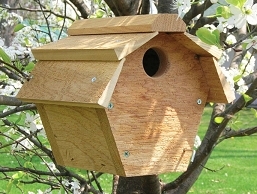 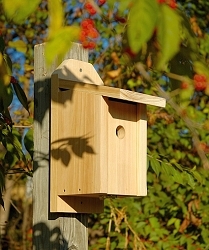 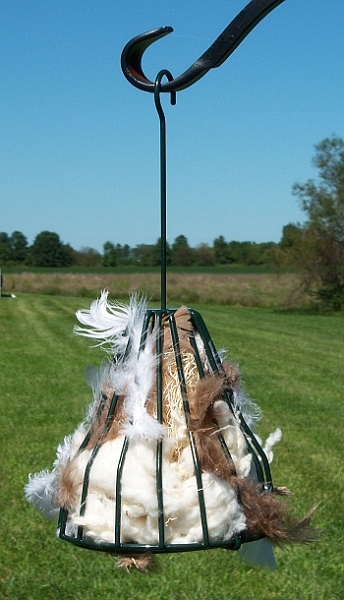 Provide backyard birds with the nesting material they need! 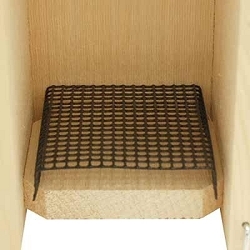 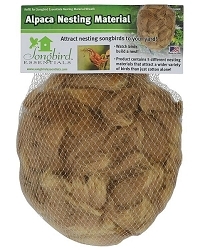 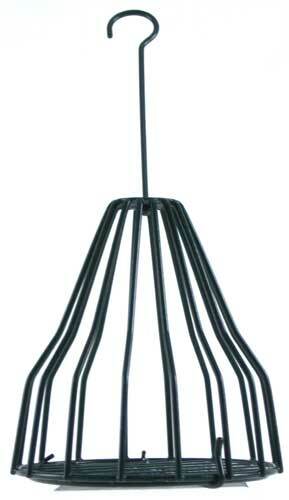 Use with our Birdie Bell Nesting Material Holder! 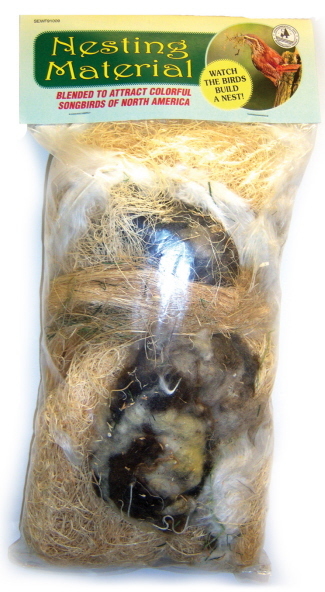 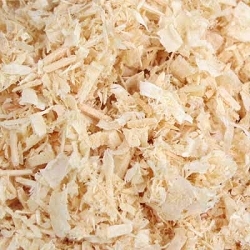 The only nesting material available that contains a mixture of five natural-colored materials preferred by North American Nesting Birds! 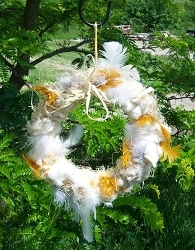 Feathers, String, Cotton, Hemp, and Aspen fiber all included! 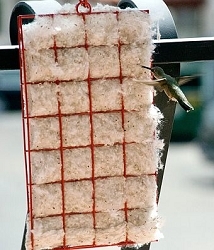 Because it contains all of the above, Nesting Material attracts many more birds than cotton only mixtures. 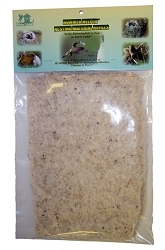 Birds and birding enthusiasts love it! 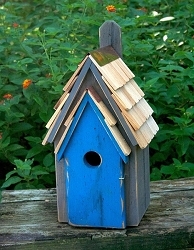 Dimensions: 13" x 5.25" x 1"